If you’re a first-time home buyer in Tewksbury, New Jersey, you may not have thought about having a sewer inspection done before you close on the home. Most people are familiar with the need for general home inspections, which check for problems like radon, mold growth, asbestos, insect infestations, and other problems. Although it’s often overlooked, sewer inspection can be incredibly important before moving into a house, especially if it’s an older home. You wouldn’t want to move in, only to find out that the sewer system has serious problems that you didn’t anticipate and you need to pay for sewer repair services. Sewer inspection will spot common issues like tree root growth or degrading pipes, saving you time and money if you do decide to buy the house. To find out more about sewer inspection for new homes, along with sewer cleaning and sewer repair services, give us a call today at A1 Sewer & Drain. A sewer inspection is always a good idea when you’re interested in buying a home in Tewksbury. This is especially true for homes that are more than twenty years old. Older sewer lines are more prone to problems, like encroaching tree root growth or worn-out piping, than sewer lines in homes built in the 1990s or 2000s. 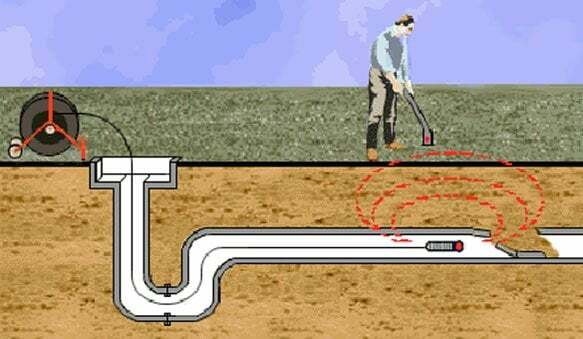 If you’re looking at buying an older house, a sewer video inspection NJ should be part of your plan for overall home inspection before you decide to buy. Professionals will use sewer inspection camera systems, available from manufacturers like CUES Inc., Aries Industries, and Envirosight, to look directly inside the sewer lines. These cameras are lowered down into the sewer line, where they provide a CCTV video feed onto a computer monitor. Tree root growth. The moisture and nutrients in your sewer line attract tree root systems. Large trees have sprawling root networks that can cover a large section of the yard, and they can easily expand into the sewer line through tiny holes in the piping. They can latch onto other debris, causing blockage that gets worse over time, and can lead to sewer backup needing emergency sewer repair. Damaged or worn-out pipes. Pipes can crack and rupture, especially older pipes that were installed decades ago. Sections of the sewer line might actually need to be replaced, using techniques like trenchless sewer repair. Sediment build-up. Sediment and minerals can build up in the pipes over time, deposited by the water flow. Over time, this can create blockage, potentially causing sewer backflow. If you’re looking at purchasing an older home in Tewksbury, sewer inspection is one of the things you should have done before you move in. Using CCTV camera equipment, an experienced NJ sewer repair company can identify any problems, so that they can be repaired before causing backflow, flooding, and other serious issues. 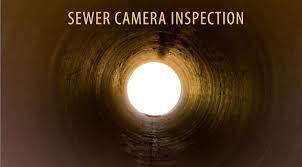 To find out more about sewer inspection in Tewksbury, NJ, give us a call today at A1 Sewer & Drain, at 201-645-0888.